A cloud service for secure & confidential image analysis. BTBP’s team of A.I. experts introduces a deep learning platform. DeepView is a deep learning platform to derive abstract information from photos. Using machine learning to understand the content of images and going beyond facial recognition to derive many real-time insights from data. Combining machine learning and machine vision techniques, DeepView is able to tap into BTBP’s DeepTag platform to decode and provide detailed analysis of photos. DeepView offers insights and analytics to address common challenges for clinical research and claims substantiation. Easily upload study photos for time point based image analysis with detailed reporting, trends and statistics. Work more efficiently with smarter tool that supports you at critical stages of your research cycle. Work and share with colleagues across the globe on projects. Break down those geographical boundaries and collaborate with colleagues in your research centers across the world. Easily share project reports through DeepView. Seamlessly manage multiple projects and iterations to gain new insights from data. OUR TECHNOLOGY HELPS SOLVE PROBLEMS FOR RESEARCHERS. INCREASE PRODUCTIVITY WITH SMART TOOLS THAT FUEL INNOVATION, OPPORTUNITY AND DISCOVERY. Take your clinical studies to the next level. Discover BTBP’s facial detection and skin feature classification algorithms. 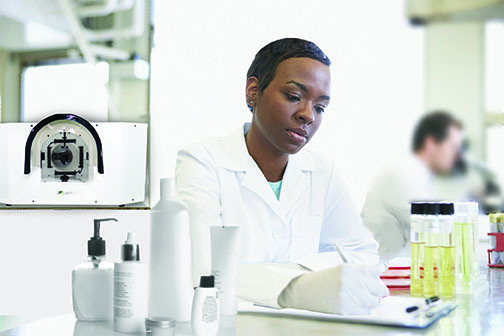 A solution for repeatable skin analysis that has an average of 80% or higher match rate with visual grading experts. DeepTag's intelligence platform features an extensive array of detectors and image analysis attributes. Decode real-time insights about people as they interact with your company, product or brand. The coordinate locations of 70+ distinct facial landmarks. Masks that provides the regions of skin vs. facial features such as eyes, eyebrows. The direction the face(s) are pointing and which profile is visible. Detection and verification of identity. The shapes of the face in an image; examples include square and heart. The color of the eyes. Detects the presence of eye glasses, and whether they are for sun or reading. Male or Female gender classification with confidence ratings. Age classification into 9 distinct categories or discrete age. The skin type based on the color/tone as defined by the Fitzpatrick scale of I-VI. Detects presence and type of facial hair ranging from moustaches to different beard styles. Identifies and measures hair texture, examples include straight, wavy and bald. Detects if anyone in the image is suffering from hair-loss and its classification severity. The color of the hair. Degree of redness, sensitivity of the skin. Color variation in complexion due to pigmentation or uneven texture. Fine and deep lines from textural changes. Includes expression lines. Dark spots, discoloration from aging, sun damage and acne. Moisture levels of the skin derived from the skin texture. Active acne, pimples and cysts. Skin roughness across the face and localized areas such as eyelids. Measures level of rosiness, lip fullness and border contrast. Length, density and lift-up/curl-up angles. Under eye pigmentation and bags. Provides closest shade within the pantone color palette. Detects areas of excessive sebum production. Identify skin age and view transforms of structural and color changes due to the effects of aging. The undertone of each person visible in an image: neutral, warm and cool. Detects the presence of makeup, such as blushes, mascara and foundation. User location by city & country. Current climate and seasonal impact of skin. Levels of UV radiation from the sun at the time of photo capture. Degree of air quality based on the presence of environmental pollutants and standards established by the EPA. Reports temperature highs and lows for the day. Reports water vapor levels for the day. Type of camera the photo is captured on. Settings used at time of capture that may impact photo color intensity and quality.